Btobet presents its next-level Omnichannel platform to fit the needs of operators and bettors in emerging countries. The evolution of iGaming and sports betting technology in recent years has encouraged a transformation of player expectations. Players expect to encounter the same brand with the same offer on each channel, and start considering reductive the site optimization for mobile. At the same time, from a management perspective, operators experience the problem of administering multiple systems that are integrated at the front-end, but separate on the back-end. This means that operators require a valid omnichannel solution that allows them to have a single back-end from which to administer all channels. With BtoBet’s iGaming platform and account system, it is possible to access one view of the player across every product and location, land-based as well as online or on mobile. Through the company’s iGaming and sports betting software, players feel at liberty to play wherever, however, and whenever they prefer, while operators enjoy the possibility of registering customers, monitoring behavior, and verifying their preferences while playing. It also allows the operator to set a marketing and business strategy that elaborates on offers in line with the client’s expectations, often anticipating the client’s desire and encouraging commitment to the game. The inevitable conclusion? Having multichannel (or cross-channel) and adapted interfaces for different platform is not enough. The ever-evolving market requires a more advanced technology applied to gambling, one that not only facilitates but encourages this kind of dynamic approach. After the success enjoyed at ICE London and the FADJA tradeshow in Colombia, BtoBet is ready to present its omnichannel platform to the African market, participating in Sport Betting East Africa from the 23rd-25th May in Nairobi, Kenya. 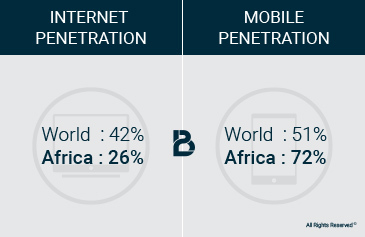 In growing markets such as the African demographic, the government has steadily invested in undersea fiber-optic cables and infrastructures, and data related to the mobile and smartphones users (particularly in Nigeria, Egypt and East Africa – Kenya and Tanzania) are overwhelmingly positive. 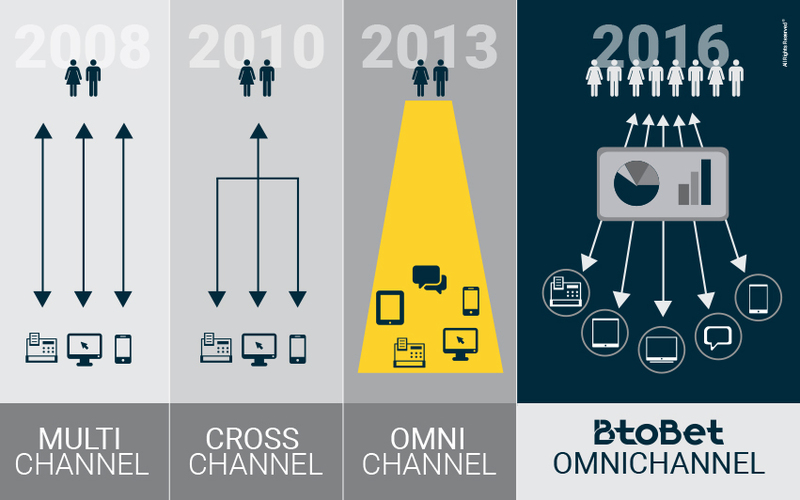 These promising signs highlight the growing potential of multi-channel gaming. For instance, in Kenya it is estimated that 36 million are mobile users (70% of the population) while Tanzania counts about 33 million (56% of the population), meaning that just 2 East African countries total 70 million target users. The panorama could become even more interesting and exciting if we consider all the other emerging areas of the continent. “While most multi-channel retailers have supply chain structures that are based around independently managed channels, the need to deliver a seamless and integrated customer experience across all shopping channels calls for an omnichannel platform embracing people, process, technology, and external partners. With BtoBet’s B Neuron AI platform, this process can be easily integrated and we are going to present all its features at the emerging markets worldwide”.